The Opening Statement - "Enough is Enough"
The unfortunate "Colorado Shooting" has again re-opened the "Debate within the Pandora Box" on existing Gun Laws. The notion you might get shot by a motivated-but-irrational person with a gun isn't considered terrorism in America: it’s a fact of life. Now, it's time for us to think and act outside the box by accepting the change as an inevitable affair. If it does happens (Conditional), this very change will be counted as one of the greatest legacies of President Obama and which will further solidifies his statement "Yes, We Can!" in history books. But, Optimism has been always at loggerhead with Skepticism. So, Fingers are Crossed! In June the Charleston killings renewed the sporadic debates over whether gun control might have prevented this terrible tragedy. Five months on, the massacre at Umpqua Community College in Roseburg, Oregon has left nine dead. and within a month-gap, another massacre left three dead at Colorado Spring's Planned Parenthood Center. We know that other countries, in response to one mass shooting, have been able to craft laws that almost eliminate mass shootings. Friends of ours, allies of ours – Great Britain, Australia, countries like ours. So we know there are ways to prevent it. So far, however, the US has not come up with “ways to prevent it.” The National Rifle Association (NRA), it seems, has so much power over politicians that even when 90% of Americans (including a majority of NRA members) wanted universal background checks to be adopted following the Newtown killings of 2012, no federal action ensued. Certainly, the type of comprehensive response that has been effective in other countries is unlike to emerge in the United States. The NRA stranglehold on appropriate anti-crime measures is only part of the problem, though.The gun culture’s worship of the magical protective capacities of guns and their power to be wielded against perceived enemies – including the federal government – is a message that resonates with troubled individuals from the Santa Barbara killer, who was seeking vengeance on women who had failed to perceive his greatness, to the Charleston killer who echoed the Tea Party mantra of taking back our country. I’ve been researching gun violence – and what can be done to prevent it – in the US for 25 years. The fact is that if NRA claims about the efficacy of guns in reducing crime were true, the US would have the lowest homicide rate among industrialized nations instead of the highest homicide rate (by a wide margin). The US is by far the world leader in the number of guns in civilian hands. The stricter gun laws of other “advanced countries” have restrained homicidal violence, suicides and gun accidents – even when, in some cases, laws were introduced over massive protests from their armed citizens. 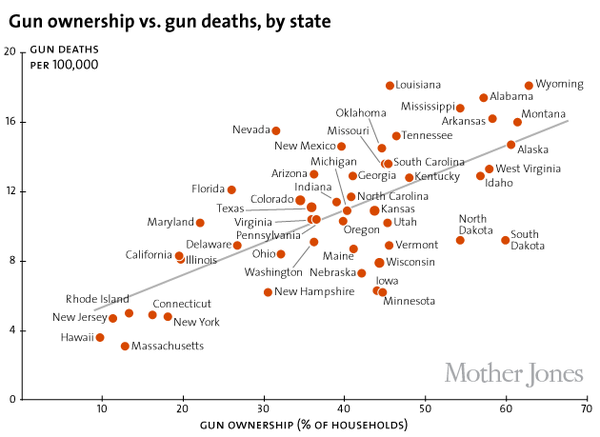 Eighteen states in the US and a number of cities including Chicago, New York and San Francisco have tried to reduce the unlawful use of guns as well as gun accidents by adopting laws to keep guns safely stored when they are not in use. Safe storage is a common form of gun regulation in nations with stricter gun regulations. The NRA has been battling such laws for years. But that effort was dealt a blow earlier this month when the US Supreme Court – over a strident dissent by Justices Thomas and Scalia – refused to consider the San Francisco law that required guns not in use be stored safely. This was undoubtedly a positive step because hundreds of thousands of guns are stolen every year, and good public policy must try to keep guns out of the hands of criminals and children. The dissenters, however, were alarmed by the thought that a gun stored in a safe would not be immediately available for use, but they seemed unaware of how unusual it is that a gun is helpful when someone is under attack. For starters, only the tiniest fraction of victims of violent crime are able to use a gun in their defense. Over the period from 2007-2011, when roughly six million nonfatal violent crimes occurred each year, data from the National Crime Victimization Survey show that the victim did not defend with a gun in 99.2% of these incidents – this in a country with 300 million guns in civilian hands. In fact, a study of 198 cases of unwanted entry into occupied single-family dwellings in Atlanta (not limited to night when the residents were sleeping) found that the invader was twice as likely to obtain the victim’s gun than to have the victim use a firearm in self-defense. On average, the gun that represents the greatest threat is the one that is kept loaded and readily available in a bedside drawer. A loaded, unsecured gun in the home is like an insurance policy that fails to deliver at least 95% of the time you need it, but has the constant potential – particularly in the case of handguns that are more easily manipulated by children and more attractive for use in crime – to harm someone in the home or (via theft) the public at large. For years, the NRA mantra has been that allowing citizens to carry concealed handguns would reduce crime as they fought off or scared off the criminals. Some early studies even purported to show that so-called right to carry laws (RTC) did just that, but a 2004 report from the National Research Council refuted that claim (saying it was not supported by “the scientific evidence”), while remaining uncertain about what the true impact of RTC laws was. Ten years of additional data have allowed new research to get a better fix on this question, which is important since the NRA is pushing for a Supreme Court decision that would allow RTC as a matter of constitutional law. The new research on this issue from my research team at Stanford University has given the most compelling evidence to date that RTC laws are associated with significant increases in violent crime – particularly for aggravated assault. Looking at Uniform Crime Reports data from 1979-2012, we find that, on average, the 33 states that adopted RTC laws over this period experienced violent crime rates that are 4%-19% higher after 10 years than if they had not adopted these laws. This hardly makes a strong case for RTC as a constitutional right. At the very least more research is needed to estimate more precisely exactly how much violent crime such a decision would unleash in the states that have so far resisted the NRA-backed RTC laws. In the meantime, can anything make American politicians listen to the preferences of the 90% on the wisdom of adopting universal background checks for gun purchases? As an academic exercise, one might speculate whether law could play a constructive role in reducing the number or deadliness of mass shootings. Most other advanced nations apparently think so, since they make it far harder for someone like the Charleston killer to get his hands on a Glock semiautomatic handgun or any other kind of firearm (universal background checks are common features of gun regulation in other developed countries). Germany: To buy a gun, anyone under the age of 25 has to pass a psychiatric evaluation (presumably 21-year-old Dylann Roof would have failed). Finland: Handgun license applicants are only allowed to purchase firearms if they can prove they are active members of regulated shooting clubs. Before they can get a gun, applicants must pass an aptitude test, submit to a police interview, and show they have a proper gun storage unit. Italy: To secure a gun permit, one must establish a genuine reason to possess a firearm and pass a background check considering both criminal and mental health records (again, presumably Dylann Roof would have failed). France: Firearms applicants must have no criminal record and pass a background check that considers the reason for the gun purchase and evaluates the criminal, mental, and health records of the applicant. (Dylann Roof would presumably have failed in this process). 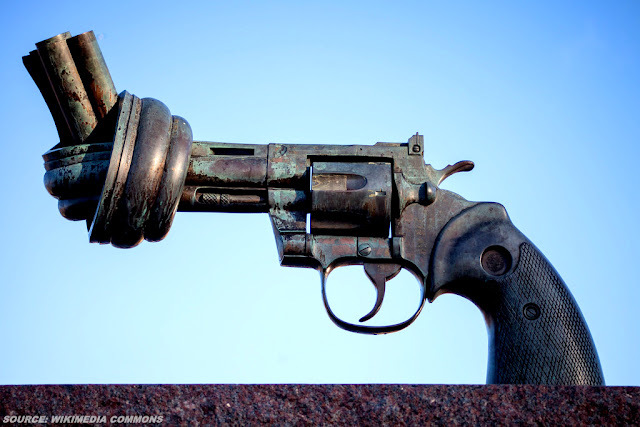 United Kingdom and Japan: Handguns are illegal for private citizens. While mass shootings as well as gun homicides and suicides are not unknown in these countries, the overall rates are substantially higher in the United States than in these competitor nations. While NRA supporters frequently challenge me on these statistics saying that this is only because “American blacks are so violent,” it is important to note that white murder rates in the US are well over twice as high as the murder rates in any of these other countries. 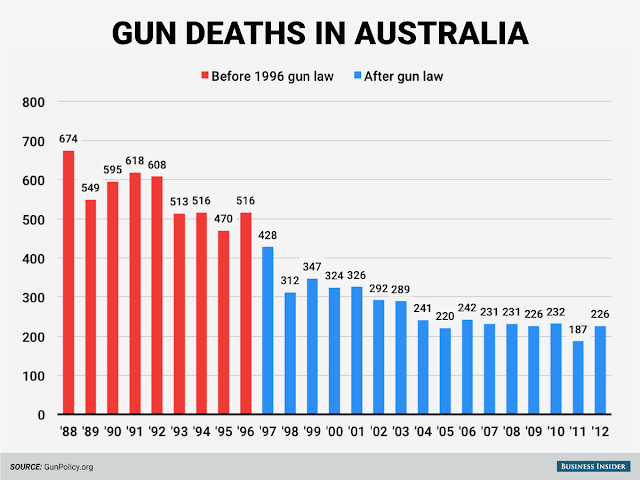 The story of Australia, which had 13 mass shootings in the 18-year period from 1979 to 1996 but none in the succeeding 19 years, is worth examining. The turning point was the 1996 Port Arthur massacre in Tasmania, in which a gunman killed 35 individuals using semiautomatic weapons. In the wake of the massacre, the conservative federal government succeeded in implementing tough new gun control laws throughout the country. A large array of weapons were banned – including the Glock semiautomatic handgun used in the Charleston shootings. The government also imposed a mandatory gun buy back that substantially reduced gun possession in Australia. Of course, strict gun regulations cannot ensure that the danger of mass shootings or killings has been eliminated. In fact, in the same manifesto (“December and January – Rifle/gun accessories purchased”, Breivik wrote that it was from a US supplier that he purchased – and had mailed – ten 30-round ammunition magazines for the rifle he used in his attack. In other words, even if a particular state chooses to make it harder for some would-be killers to get their weapons, these efforts can be undercut by the jurisdictions that hold out from these efforts. In the US, of course, gun control measures at the state and local level are often thwarted by the lax attitude to gun acquisition in other states. John J. Donohue III has been one of the leading empirical researchers in the legal academy over the past 25 years. Professor Donohue is an economist as well as a lawyer and is well known for using empirical analysis to determine the impact of law and public policy in a wide range of areas, including civil rights and anti-discrimination law, employment discrimination, crime and criminal justice, and school funding. Professor Donohue previously was a member of the law school faculty from 1995–2004. Before rejoining the Stanford Law School faculty in 2010, Professor Donohue was the Leighton Homer Surbeck Professor of Law at Yale Law School. He recently co-authored Employment Discrimination: Law and Theory with George Rutherglen. Earlier in his career, he was a law professor at Northwestern University as well as a research fellow with the American Bar Foundation. Additionally, he clerked with Chief Justice T. Emmet Clarie, of the U.S. District Court of Hartford, Connecticut. He is a member of the American Academy of Arts and Sciences, and the former editor of the American Law and Economics Review and president of the American Law and Economics Association.